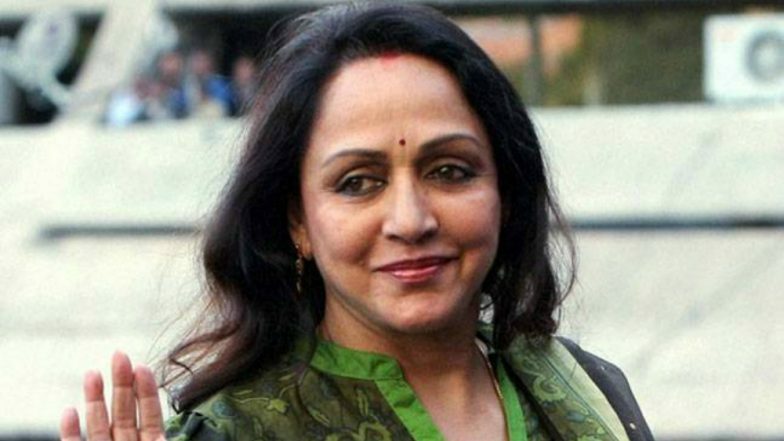 Mathura, March 22: Popular actor and Mathura MP Hema Malini, who has been busy since morning participating in Holi celebrations in Lord Krishna's land, was Thursday against fielded by her BJP from the seat in the 2019 Lok Sabha elections. However, in the first list of Bharatiya Janata Party's Lok Sabha candidates, there were surprises in store as both sitting MPs from Agra have been replaced. In Agra city, UP minister S.P. Singh Baghel replaces Ram Shankar Katheria, Chairman of the SC/ST Commission, while in Fatehpur Sikri, Raj Kumar Chahar will contest instead of Choudhary Babu Lal. BJP 1st List of Candidates For Lok Sabha Elections 2019 Out: Narendra Modi, Amit Shah, Rajnath Singh Among 184 Candidates Named; Check Constituency-Wise List Here.